Naspers is running a competition to re-design its headquarters on Cape Town’s foreshore. 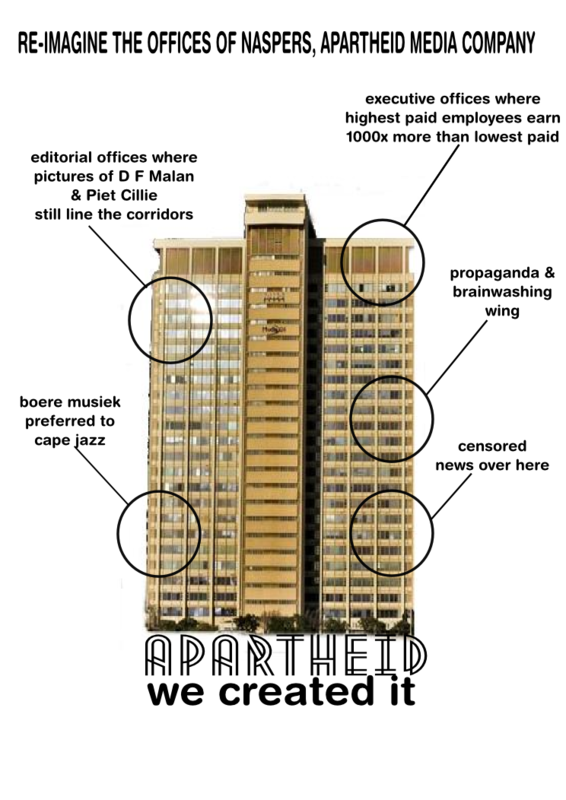 We’ve produced a graphic to remind readers that Naspers is an apartheid corporation, instrumental in the creation of apartheid and continues to disregard the findings of the Truth and Reconciliation Commission. The company did not participate in the TRC media hearings and refuses to apologise to the victims and survivors of the apartheid system. Click on the graphic to enlarge.